It regulates the production of a key enzyme involved in the generation of blood vessels which feed cancer cells' growth. In all eight, levels of CUGBP2 were very low, suggesting the development of cancer "turns down" the gene responsible for its production, meaning levels of the protein falls and the cancer can flourish. Professor Brian Dieckgraefe, co-author of the research, said: "CUGBP2 may be one type of master switch used by the cell to control other key proteins. "Proteins like Cox-2 need to be tightly regulated to avoid uncontrolled growth. That may be why CUGBP2 levels were significantly lower in every single tumour we studied." Professor Shrikant Anant, who also worked on the study, said: "When CUGBP2 is introduced, there are a number of molecular derangements that take place in the cancer cell that make it susceptible to death. "In the future, it may be possible to use this protein as a means of killing tumour cells without harming normal cells because normal cells already produce significant amounts of the protein." 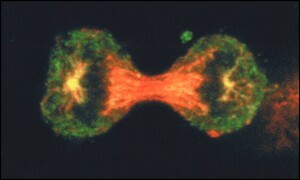 Professor Dieckgraefe said: "Most therapeutic tools we currently use for cancer act by triggering cells to self-destruct. "So it's entirely possible that this might become a synergistic addition to existing therapies. By augmenting existing chemotherapy with CUGBP2, we might be able to make traditional therapies more effective." Dr Elaine Vickers, information officer for Cancer Research UK, said: "There has been much interest recently in the molecule Cox-2 because it is found in high levels in some cancers. "A number of clinical trials are ongoing in the UK investigating the effectiveness of drugs that block Cox-2 in bowel cancer. "This discovery is a step forward in our understanding of how Cox-2 is controlled. "However, it will be many years before we know whether targeting CUGBP2 could be important in the treatment of cancer."